Abstract: This presentation will explore the experience of e-systems in military healthcare and the future opportunities. 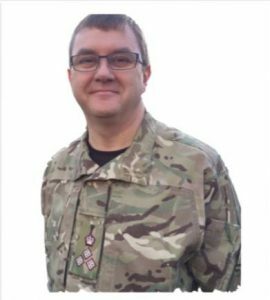 It will specifically identify the value of passing electronic information in the deployed setting and how that information might be used by both commanders and clinical staff to prevent, detect and treat illness and injury. How e-systems can be used to provide reach forward direction and reach back advice to clinicians in austere environments is considered, together with opportunities to mine the rich data set of injured personnel to identify emerging patterns that demand new mitigation. The utility of technology enhanced learning to prepare medical staff to work in challenging environments is identified, including how gaming-style creative technology is being applied. Constraints and frictions in the operational environment will be highlighted that create obstacles to full exploitation of some e-technology that may be taken for granted in the permissive firm base setting off peacetime UK. Professor Duc Truong PHAM FREng FSME FLSW FIET FIMechE holds the Chance Chair of Engineering at the University of Birmingham where he started his career as a lecturer in robotics and control engineering. Prior to returning to Birmingham in 2011, he had been Professor of Computer-Controlled Manufacture and Director of the Manufacturing Engineering Centre at Cardiff University. His research is in the areas of intelligent systems, robotics and autonomous systems and advanced manufacturing technology. He has published over 500 technical papers and books and has graduated more than 100 phD students. Abstract: Remanufaturing is “the process of returning a used product to at least OEM original performance specification from the customers’ perspective and giving the resultant product warranty that is at least equal to that of a newly manufactured equivalent.” In this presentation, we shall review the economic, environmental and social drivers of remanufacturing. We shall examine the need for intelligent automation in remanufacturing and research efforts aimed at creating autonomous remanufacturing systems. Professor Raouf Hamzaoui received the MSc degree in mathematics from the University of Montreal, Canada, in 1993, the Dr.rer.nat. degree from the University of Freiburg, Germany, in 1997, and the Habilitation degree in computer science from the University of Konstanz, Germany, in 2004. He was an Assistant Professor with the Department of Computer Science of the University of Leipzig, Germany and with the Department of Computer and Information Science of the University of Konstanz. Since 2006, he has been a Professor in Media Technology at De Montfort University, Leicester. 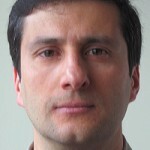 Raouf Hamzaoui is an IEEE Senior member and a member of the IEEE Multimedia Communications Technical Committee. 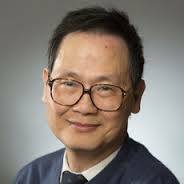 He served on the Editorial Boards of the IEEE Transactions on Circuits and Systems for Video Technology (2010-2016) and was an Associate Editor for the journal of Pattern Recognition (2006-2014). He also served on the Technical Programme Committee of many conferences, including Packet Video Workshop, NOSSDAV, CONTENT, and ACM Multimedia. He has published over 80 research papers in the areas of image and video compression, error control systems, joint source-channel coding, and peer to peer video communication. Abstract: Multiview plus depth is an emerging video format with many applications, including 3-D television and free viewpoint television. During the broadcast of a compressed Multiview plus Depth video, transmission errors may cause the loss of whole frames, resulting in significant degradation of video quality. The talk will give an overview of error concealment techniques used to reduce the effect of such errors. The focus will be on a new method that allows to maintain a high level of consistency between frames of the same view (temporal consistency) and those of neighboring views (inter-view consistency). Professor John J. Soraghan (S’83-M’84-SM’96) received the B.Eng. (Hons.) and M.End.Sc. degrees in electronic engineering from University College Dublin, Dublin, Ireland, in 1978 and 1983, respectively, and the Ph.D. degree in electronic engineering from the University of Southampton, Southampton, U.K. His doctoral research focused on synthetic aperture radar processing on the distributed array processor. After graduating, he worked with the Electricity Supply Board in Ireland and with Westinghouse Electric Corporation in the U.S. in 1986, he joined the Department of Electronic and Electrical Engineering, University of Strathclyde, Glasgow, U.K., as a lecturer and became a Senior Lecturer in 1990, a Reader in 2000, and a Professor in signal processing in September 2003. He was a Manager of the Scottish Transputer Centre from 1988 to 1991, Manager with the DTI Parallel Signal Processing Centre from 1991 to 1995, Head of the ICSP from 2005-2007 and Director of the EEE Graduate School since 2013. Since 2004 he has held the Texas Instruments Chair in signal processing, University of Strathclyde. 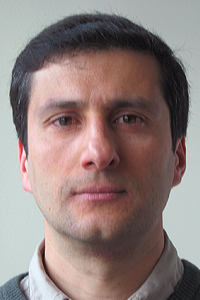 Currently he is Head of the Signal Processing Algorithms and Applications Research group in the Centre for Signal and Image Processing, Dept Electronic and Electrical Engineering, University of Strathclyde. His main research interests are signal processing theories, algorithms, and applications to distributed radar sensing, biosignal, biomedical signal and data processing, speech processing, video analytics for surveillance and 3D video. He has supervised 45 PhD students to graduation, has published over 330 technical papers and holds 4 patents. Professor Soraghan is a Member of the IET and a Senior Member of the IEEE. Abstract: Smart electronic technologies rely heavily on the availability of appropriate signal processing algorithms that are able to match certain economical and performance constraints. In the health sector, electronic technologies allow clinicians to use patient data from an increasing number of sensors through enhanced analytics, automation and visualisation leading to effective and improved patient care and recovery. This talk will explore some interesting signal processing enabling methods that have been used in a range of eHealth Systems over the last decade in CeSIP. Case studies will be taken from recent work in the areas of (i) lower arm prosthesis, (ii) 3D visualisation and quantification of head and neck tumours and (iii) the Glasgow Facial Palsy Scale (GFPS) as an objective means of measuring the degree of facial paralysis.